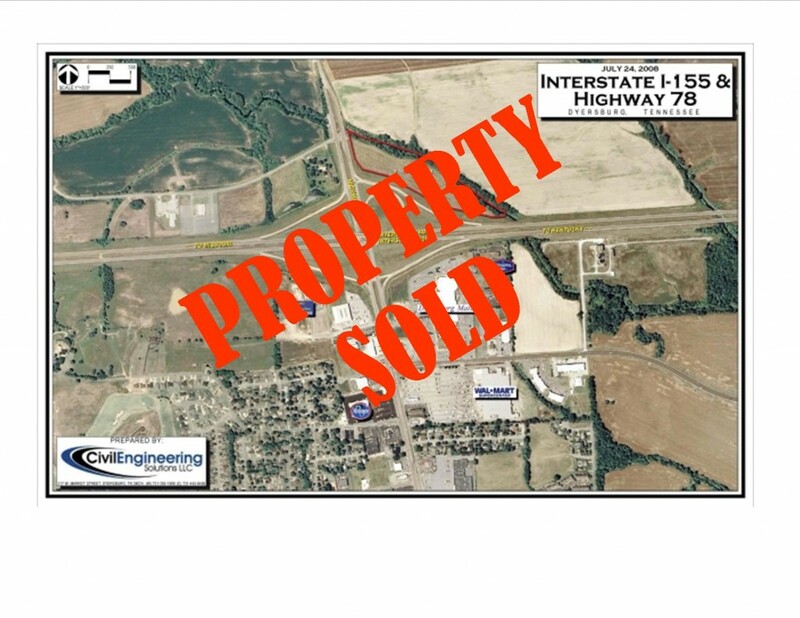 14.48 acres located in the Northeast corner of the intersection of I 155 and US Highway 78. A 3 lane driveway access permit providing access from Highway 78 has been approved by the Tennessee Dept. of Transportation. 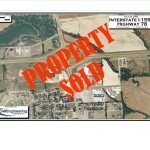 The property is zoned Planned Business and can be subdivided. 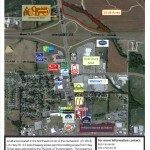 The property is prime for restaurant, motel or retail development. New interstate 69 has recently been announced to be built on the West side of Dyersburg and will intersect I 155 a short distance from the site. A CRACKER BARREL OLD COUNTRY STORE has recently opened adjacent to this site. 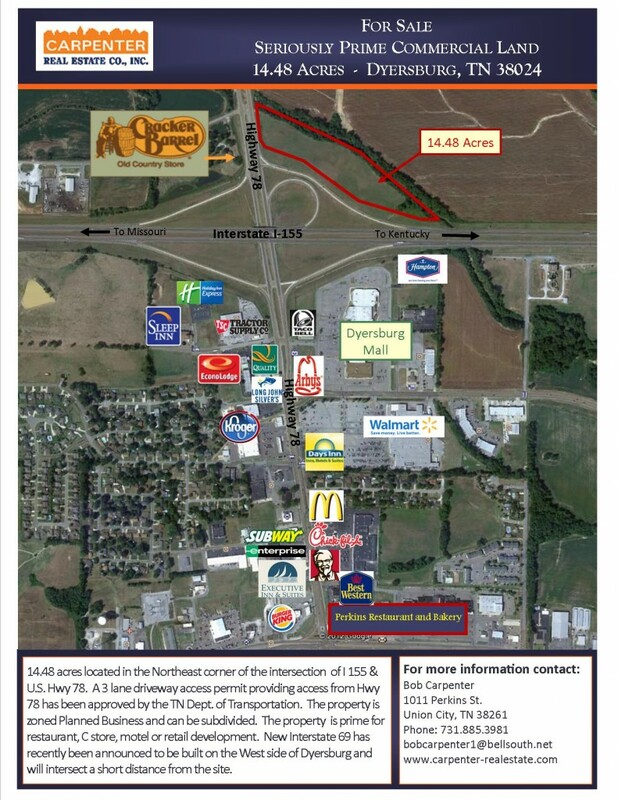 The property is located in the Northeast corner of the intersection of I 155 and US Highway 78 in Dyersburg, Tennessee. This is the main exit off I 155 into Dyersburg. Dyersburg is located 80 miles North of Memphis. to be reliable but not guaranteed and is subject to change without notice.